It might look normal from the outside, but the engineering inside this incredible new chain design makes it possible for a gear range previously found only in 2-chainring drivetrains. And it’s also the biggest contributor to the Eagle™ drivetrain’s ultra-smooth, precise, durable and quiet performance. The Eagle™ chain’s links have a smooth radius, with no sharp edges or chamfers, which yield a significant reduction in noise, friction and wear on chainrings and cassette cogs. 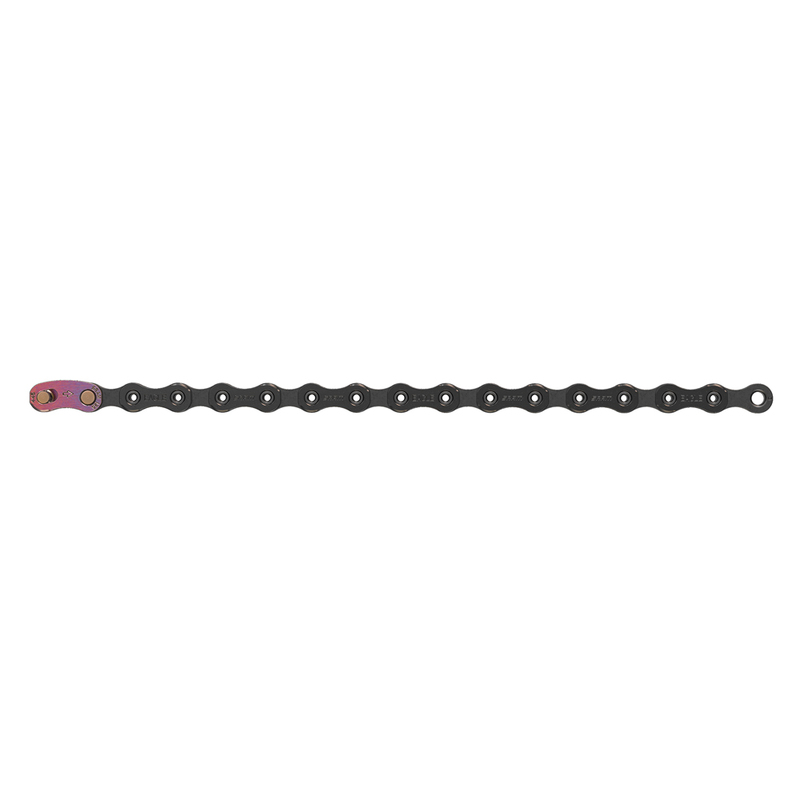 This design also allows for a flatter plate, which means more consistent chain riveting and greater overall strength. Hard Chrome™ technology extends the chain’s optimal performance life, and a Titanium Nitride coating on the Gold and Black models decreases corrosion and further reduces friction.